Coach is offering its customers a little extra value at the moment, with a complimentary monogramming service at selected American stores. 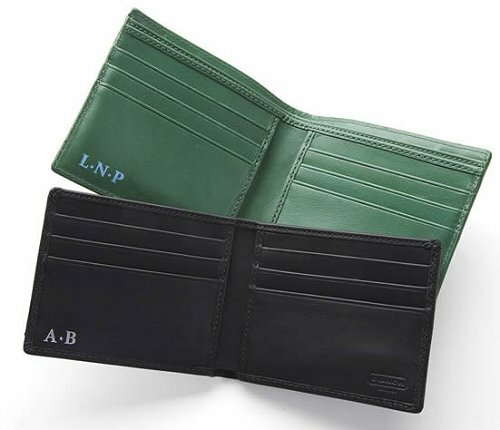 The personalized touch is available on leather hangtags, luggage tags, and selected small goods at its men's store on New York City's Bleecker Street and the Boston store on Copley Place. Phone orders are also available for anyone who doesn't live nearby. The monogramming is subtle and some of the classiest I've seen. You can choose up to three initials, with periods or without them, in a range of colors. I'm a bit of a fan of the luxurious look of the gold and silver shades, but if you prefer a matte hue there’s also black, white, navy, green, yellow, orange, and red. What more could you want? This monogrammed Coach goodies would make excellent last-minute Father's Day gifts, or presents for any special occasion really. That is, if you can bear to part with them. It's not often that we see the big designer labels offering us something for nothing, so I have to take my hat off to Coach here. Now if only the service was available in more locations. I'd love to see some West Coast stores participating!